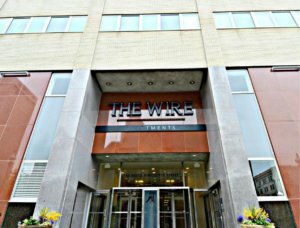 From its noble beginnings as a hub for American telecommunication to its modern revival along with the heart of downtown Omaha, The Wire is at once impressive architecture and comfortable home. This modern building maintains the integrity of its original construction with state-of-the-art upgrades and amenities. Enjoy expansive community areas featuring basketball and racquetball courts, a rooftop pool, gym, billiards, a library, and lounge. Host friends and colleagues in the ballroom or top-floor outdoor grilling area. But most importantly, find your own space to unplug. The residences have been lovingly appointed with high-end appliances, beautiful finishes, and ample living space. 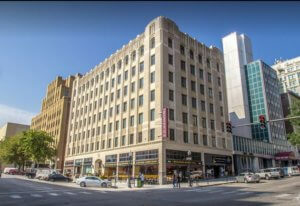 The Wire allows you to be part of Omaha’s bustling downtown growth while retaining your own space. With every convenience at your fingertips and each desirable feature of The Wire at your disposal, you can live connected like never before. And all against a backdrop of stunning skyline views. Home is calling. At The Barker, the city is your neighborhood. The Barker sits in the heart of the central business district, putting you steps away from your office, premier restaurants, entertainment, and nightlife. Thoughtfully restored in 2014, The Barker provides your own piece of Omaha history. Vintage meets modern as soon as you step into your new home including spacious floor plans, custom finishes, brick accents, and hardwood floors. Settle in and let our professional management team take care of you with personal service and attention. The difference is clear at The Barker. 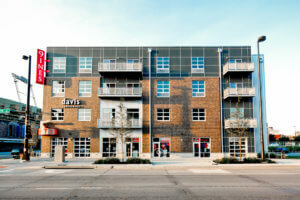 The Atlas apartments embody timeless, modern design for a luxury urban lifestyle. World travel inspired, residents enjoy the welcoming metro environment and first class service provided by Atlas apartments in the heart of Omaha. 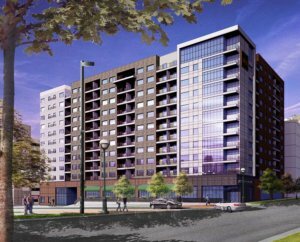 The 732 unit apartment complex features unparalleled views of the Omaha skyline, making The Atlas an ideal place for residents with active downtown social lives. Amenities include pools, fitness center, sports courts, theatre, meeting rooms, and many community areas to relax. 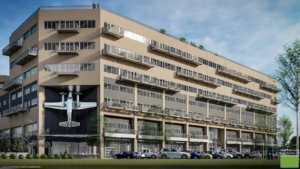 The Atlas will also feature commercial space that will be home to a restaurant/bar, coffee shop, hair salon, and convenience store. 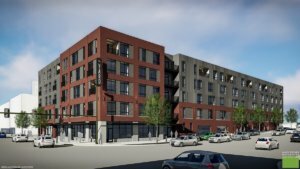 Perfectly walkable, residents will also enjoy easy access to Midtown’s eateries and community friendly destinations as well as direct bridge access to Creighton’s campus. Experience urban living, just minutes away from downtown Omaha, Nebraska, you’ll thrive in the heart of all that’s happening. A vibrant, buzzing locale, mixed with a nightlife that will never disappoint. Our brand new one, two and three bedroom apartment homes make sure that this is your ideal location and this is your chance to call it home. Incredible retail and gourmet restaurants just steps away. Not in the mood to step out? Enjoy all that The Breakers has to offer! Hang out at the fire pit or relax poolside on the roof, enjoy grilling at our barbecue area. Take in the sites from our roof top terrace or relax with a game of pool in our courtyard. At The Breakers you will get more than you expected but everything you deserve. 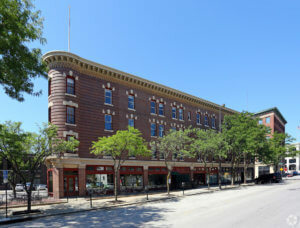 The iconic Hotel Flatiron building has been many things: a bustling hotel, a busy office space, a mobster hotspot in the 20s and 30s… And now, the downtown Omaha landmark is taking another step forward. Featuring 30 luxury apartments, the redesigned Hotel Flatiron brings together everything that makes urban living appealing: a prime location, beautiful architecture and character you won’t find anywhere else. Plus, our location gives you the perfect opportunity to take advantage of downtown living. The Yard apartments are conveniently located in the heart of North Downtown’s Stadium District, where sophistication and style meet. 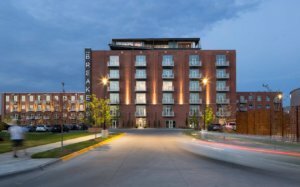 Living at The Yard puts you within blocks of the finest dining, shopping, and entertainment in Omaha. The Yard provides its residents a wide selection of pet-friendly studio, one, and two-bedroom homes in one of the most sought-after neighborhoods of Omaha. Take pleasure in your fully integrated smart home, chef-inspired kitchen, high-end wood style flooring, huge closets, and much more. In the heart of downtown Omaha, you can find an unbelievable modern apartment perfect for you with the downtown core right outside your door. 22 Floors offers an exciting lifestyle with sensational proximity to fun. With the Old Market, Midtown Crossing, and Creighton University nearby, our accessible location offers complete convenience. Within the community, you’ll find a variety of amazing floor plans that include contemporary kitchens, sleek finishes, and balconies with great views of the downtown skyline. We’re also pet friendly, because we know how much fun furry friends can be. You won’t want to miss out on this new, urban experience. Want to know more about us? Call us today or browse our site to see what we have available. In the heart of downtown Omaha, you can find an unbelievable contemporary apartment perfect for you with the downtown core right outside your door. 9ines offers an exciting lifestyle with sensational proximity to fun. With the Old Market, Midtown Crossing, and Creighton University nearby, our accessible location offers complete convenience. Within the community, you’ll find a variety of amazing floor plans that include modern appliances, sleek finishes, and balconies with great views of the downtown skyline. You won’t want to miss out on this new, urban experience. Want to know more about us? Call us today or browse our site to see what we have available. 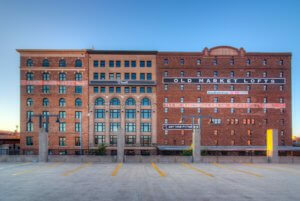 Modern loft living with distinctive vintage style is what our residents love about Old Market Lofts in Omaha, NE. Located downtown, these unique apartment homes are available in studio, one, and two bedroom, with over 50 unique floor plans to choose from. Every apartment has its own unique charm, but in each you’ll find spacious closets, central air and heat, private balcony/patio and a complete appliance package, including washer and dryer. You’ll love the view from our sky lounge, rooftop pool and hot tub. And our on-site team is a great resource for anything you need help with. 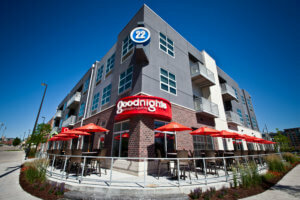 Stop in for a tour of this pet friendly community of loft apartments in Omaha, NE today. Discover City Living at its best. When you live in the Capitol District Apartments, you can enjoy the ambiance and energy of the Capitol District with a truly walkable downtown location – then escape to the comfort of your very own urban retreat. With contemporary one-and two-bedroom apartments, versatile floor plans, quality finishes, and clean design, you’ll love living at the Capitol District Apartments. On-site amenities include a state of the art fitness center, outdoor dog park (yes, we’re pet friendly!) a penthouse loft with kitchen, lounge and outdoor deck with plaza views on the 3rd floor, secure parking and controlled access to the building. The Capitol District is an eclectic, urban twist on the traditional town square and provides a new “heart” for Downtown Omaha, including the full-service Marriott Hotel, and a destination dining experience. Additionally, our location is perfect – with over 20 local and regional restaurants and bars steps from your door, live music and events in the Capitol District Plaza, and exceptional walkability. It’s your City in the City.